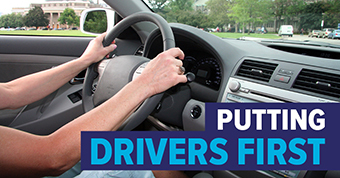 Ontario’s Government for the People is taking action to fix the broken auto insurance system that has led to Ontario auto insurance rates being among the highest in the country. The Province went directly to the people to get their views on auto insurance and received 51,000 responses on how to make insurance cheaper and easier to buy. The government will put drivers first and put money back in people’s pockets by lowering costs, increasing consumer choice and making the auto insurance market more competitive. Introducing a Driver Care Card, which will streamline access to care and make the claims process easier. Improving access to treatment for common injuries, including mental health services. Making sure a driver’s insurance policy will pay for the treatment they need while giving drivers the choice to receive cash settlements if they are eligible. Bringing credibility and more accountability to the evaluation of injury claims by reforming the medical assessments process. Enabling insurance companies to offer more discounts and options, as well as innovative new products, such as pay-as-you-go insurance. Combatting fraud so that honest drivers do not have to pay for the dishonest actions of a few. Reducing red tape by improving the way auto insurance rates are regulated. Bringing electronic proof of auto insurance to Ontario drivers and allowing for more competition in the auto insurance market.